OVER 60,000 VIALS labelled as containing anabolic steroids were seized this morning at a number of locations in Donegal. A joint operation between An Garda Síochana, Revenue and the Health Products Regulatory Authority saw a range of other illegal medicines seized, including human growth hormone and products indicated for erectile dysfunction. The total value of illegal medicines is estimated to be more than €2 million. Evidence of an illegal medicines manufacturing operation was also found. In addition, a car was seized for breach of VRT regulations, along with a substantial amount of cash. One person was arrested, and investigations are continuing. 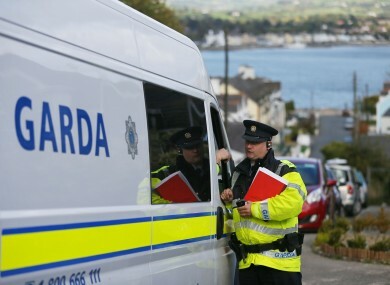 The operation involved gardaí from Buncrana and Letterkenny, revenue enforcement officers from Letterkenny, Dundalk and Monaghan, and enforcement officers from the HPRA. It was also supported by the Revenue’s detector dog. Email “Steroids, growth hormones and erectile dysfunction pills worth €2 million seized in Donegal”. Feedback on “Steroids, growth hormones and erectile dysfunction pills worth €2 million seized in Donegal”.